In its commitment to upholding high standards of ethics in research, the University of Cape Town decided earlier this year that it will no longer use wild-caught baboons for medical research. Although the university has not been involved in either the trapping or housing of baboons, UCT made the commitment to purchase baboons that were intended for research purposes and to send them to the Centre for Animal Rehabilitation and Education (CARE), to whom financial assistance has been given for the building of a sanctuary to house the baboons. All baboons were for TB and other infectious diseases relocation to the sanctuary. BWC has agreed to cover the feeding costs of the baboons over the next 5 years, which translates into many thousands of Rands monthly. To this end, BWC needs your financial support to accomplish this. Please send your donation today to Beauty without Cruelty | Standard Bank – Branch: 025109 – Savings Acc: 077 491 645 077 491 645. Please include a ‘B’ in your reference line to ensure your donation goes directly to the care of these fragile animals. Beauty Without Cruelty is delighted with the decision made by UCT to release the Chacmas to the care of a sanctuary, and for their commitment to no longer make use of baboons for medical research. We commend all involved for their efforts in the success of this scientifically sound and humane decision. by Murry J. Cohen, M.D., Stephen R. Kaufman, M.D., Rhoda Ruttenberg, M.D. and Alix Fano, M.A. July 2009 : Britian (and the world in general) are using more animals than ever before and this spike in animal experimentation coincides with the 50th anniversary of lthe original proposals to find alternatives. For 1/2 a century, successive UK governments have failed to fund the promised development of replacement methods – even though every scientist knows that animal models are flawed and imperfect approximations of the human body and human disease. Advertising Standards Authority states that companies must be able to provide proof of their humane claims. BWC is an accepted independent organisation able to audit such proof. 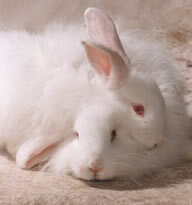 See this article, with a video clip of cosmetic testing so you can see the reality. There is no legislation specifically directed at the protection, or monitoring, of animals used in research in South Africa; they fall under the Animal Protection Act 72 of 1962, which is inadequate for this purpose. The introduction of laws to regulate the use of laboratory animals has been deferred since 1962 and in 2009 there is still no sign of such legislation being promulgated. The only so-called “protection” for lab animals came in 1990 when, after an investigation into the treatment of experimental animals, a committee comprised of representatives from the government, medical researchers, universities, research groups and animal welfare societies, was formed to draft a national code which was published in 1990, but was voluntarily adhered to and had no legal standing. In 2001 Standards South Africa, a division of the S.A. Bureau of Standards, was asked to draft a new set of recommendations for the use of laboratory animals and this resulted in The South African National Standard – The Care and Use of Animals for Scientific Purposes, being published (Obtainable from Standards Sales Dept www.sabs.co.za ). The new Standard replaces the previous code and is intended to be attached to the Animal Protection Act as a point of reference and to form the basis of any future legislation, but in the meantime it too will only be voluntarily adhered to. The Standard mainly focuses on the use of vertebrates, even though there is evidence to suggest that invertebrates too experience pain. At the very least, the welfare of “higher” invertebrates, such as the octopus and squid must be taken into account, as it is clear that these intelligent animals, with their complex nervous systems, are capable of suffering. Animals are sentient beings and at Beauty Without Cruelty’s insistence this has been acknowledged in the new code; now their rights and sentience must be recognised in law, where they are at present legally classified as “things” or movable property. VIVISECTION – What’s it all about? The word “vivisection” literally means the cutting up of live animals for the purpose of making physiological or pathological investigations, although the definition has been broadened to incorporate any invasive procedure conducted on a live animal. Animals have been used and abused for the “benefit” of humans for thousands of years, but it was only towards the end of the 19th century that the use of animals, in medical research particularly, became popular with the scientific community and some relics of this barbaric era are still in use today. The LD50 test, in which 50 % of the test subjects are required to die in order to find the toxicity level of a substance, was developed in 1927 and is still in use today, despite its unreliable results. While many countries, including South Africa, do not keep statistics of the numbers of animals used in research, in a recent world survey it is estimated that approximately 115 million animals are used in laboratory experiments each year, worldwide, although the number is probably higher. While many people still incorrectly associate animal tests only with the cosmetic industry, or with medical experiments; in truth, animal experimentation touches all aspects of our lives. Animals are used in tobacco, alcohol and drug abuse studies, the manufacture of commercial products – such as household cleaners, the pharmaceutical industry, agriculture, toxicological studies, education and in many other ways. Animals are scalded, burnt, drowned, electrocuted, poisoned and killed, all in the name of science and often without the benefit of anaesthesia or analgesics. Facilities that use animals in research often breed their own “stock” such as rodents, rabbits, birds etc. Other animals, such as pigs and sheep, may be obtained from farmers and baboons, monkeys and other wild, or so-called “problem” animals, are caught in the wild, often with the blessing of nature conservation authorities. Animals trapped in the wild are usually transported to a facility where they are tested for viruses, infections and other health problems and where they are expected to get used to being in close proximity to humans. They are then re-located to the laboratory environment and may be held indefinitely, depending on the research involved. Animals kept in such captive situations often display behavioural problems like pacing, self-mutilation, swaying, masturbation, bar biting and head banging. All of these symptoms have been observed in animals held in South African laboratories. MORAL: The notion that the infliction of suffering on other species is acceptable, if it is for the benefit of humans, is wrong. The word speciesism was coined by the philosopher Peter Singer in his book LIBERATION and is defined by him as “ a prejudice or attitude towards the interests of one’s own species and against those of members of other species”. Speciesism may be likened to racism and sexism and until we stop exploiting animals for our own advantage, we cannot consider ourselves to be either truly liberated, or moral people. Medical researchers claim to abide by “ethical” codes which are meant to protect laboratory animals, yet cruel experiments still take place on a regular basis and suffering is an inherent part of the animals’ lives. 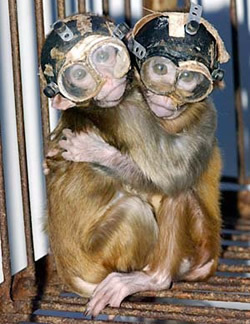 Humane animal experimentation is a contradiction in terms and one cannot be “ethically” cruel. Animals are sentient beings and have intrinsic value and as such should not be subjected to pain and suffering for the benefit of others. SCIENTIFIC: Animal tests are misleading, as the results cannot be directly extrapolated to humans. Various species react differently to the same substance and often the same tests, conducted in different laboratories, do not produce similar results. Animals are poor models for the human condition and animal tests only give an approximation of the effect a substance will have on people. In light of this unreliability animal tests are often not done through scientific necessity, but to satisfy legal requirements. When pharmaceutical drugs, for instance, are finally introduced to the market, their short or long-term use may produce side effects such as headaches, dizziness, nausea, blindness, and sometimes even death. These symptoms are often not easily observable in animals and only show up in the final ‘guinea pigs’- human beings. Another problem that could occur through using animals to predict the safety of substances is the possibility of either losing, or at best delaying, the use of substances that would benefit human health. 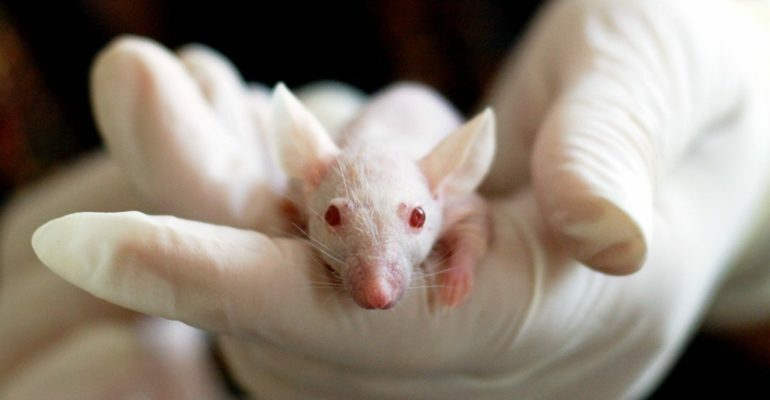 Animal tests could show intolerance to a substance by one species, that may not exist in humans and a number of examples of this type of misleading information exist. Penicillin, which indirectly causes the death of guinea pigs by killing off useful bacteria in their gut, is hailed as a lifesaver for humans and aspirin and streptomycin, sensitising drugs, can produce allergic reactions in laboratory animals. Morphine, which sedates people, causes maniacal excitement in cats and mice and paracetamol kills cats. VIOXX: This arthritis drug killed up to 140,000 people after having been declared safe in animals, the drug was tested in eight studies using six animal species, yet it proved to be lethal when taken by humans. OPREN: Anti-Rheumatic drug that killed 76 people and caused serious illness to 3,500 others even though it had undergone seven years of animal testing. ERALDIN: Heart medication – Thousands of people were adversely affected after taking this drug and further animal tests failed to find a single species that reacts to this drug in the same way as humans. EYTEX: is an in-vitro (test tube) procedure that measures eye irritancy. A vegetable protein from the jack bean mimics the cornea, via a protein alteration system, to an alien substance. This alternative can be used instead of the eye irritancy test, which involves dripping a substance into one eye of a restrained rabbit, and measuring the irritancy against the other eye over a period of time. This is called the Draize Eye Irritancy Test and ulceration, swelling and bleeding may be caused as a result. EpiDerm and EpiSkin: These are derived from human skin cells which have been cultured to produce a model of human skin and are used to test potentially harmful substances. NEUTRAL RED BIOASSAY: are cultured human cells that are used to compare absorption of a water-soluble dye to measure relative toxicity. TESTSKIN: uses human skin grown in a sterile plastic bag and can be used for irritancy etc. TOPKAT: is a computer software programme that measures toxicity, muttagenecy, caccinogenicity and tertonogenicity. Would you wash your face in the fat of a slaughtered animal? Or shampoo your hair with boiled animal skin, or like to find acids, fats and placenta from the slaughterhouse in your lipstick, toothpaste or shaving cream? Unless you choose your cosmetics and toiletries extremely carefully, the likelihood is that you are doing just that! For many years Beauty Without Cruelty has been investigating the humane status of manufacturers and their products and the results are published in the BEAUTY WITHOUT CRUELTY APPROVED PRODUCT GUIDE as a free service to the public. There is no charge made to companies whose products are endorsed by BWC ever, and they may, by arrangement, use the BWC name and logo on their products free of charge, if they so wish. 1. ASSURANCES: As virtually all substances have been tested on animals at some time, BWC requires companies to initiate a self-imposed cut-off date on the use of animal tested ingredients, as long as it is at least five years before the date of application and the company must guarantee that the chosen date will be strictly adhered to in the future. Failure to comply with the fixed cut-off date will result in immediate removal from the BWC approved product guide. 3. Written assurances must be obtained from ingredient supply companies, that individual ingredients supplied to the company, have not been tested (by them) on animals after the cut-off date. 4. Parent companies and their subsidiaries too, must comply with these criteria.